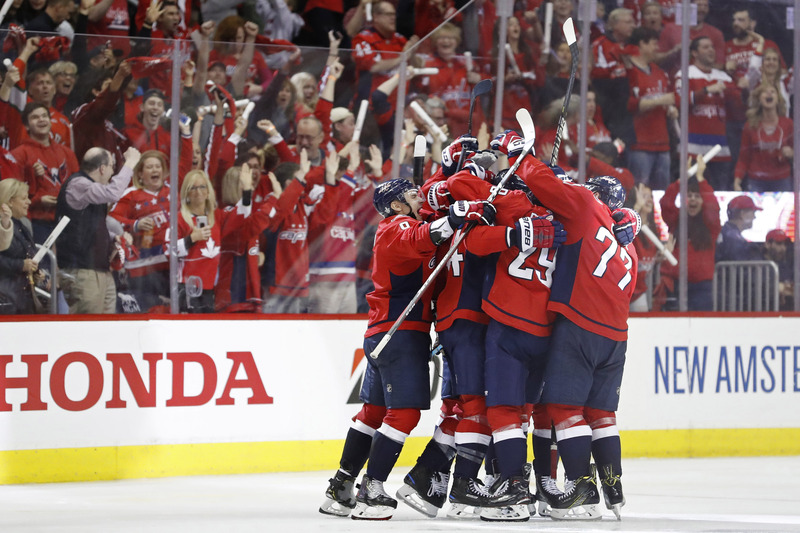 WASHINGTON - Brooks Orpik scored less than two minutes into overtime, Alex Ovechkin had two assists and the Washington Capitals beat the Carolina Hurricanes 4-3 on Saturday to give the defending Stanley Cup champions a 2-0 lead in the first-round series. In Boston, Brad Marchand and Patrice Bergeron scored, Tuukka Rask stopped 30 shots and Boston beat Toronto to tie the series at one game apiece. In Nashville, Craig Smith scored five minutes into overtime to give Nashville the victory over Dallas, tying the first-round Western Conference series 1-1. 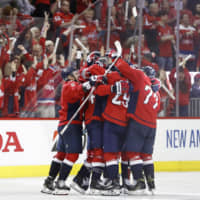 In Calgary, Alberta, Nathan MacKinnon scored 8:27 into overtime and the Colorado Avalanche tied their first-round series with the Flames at a game apiece.